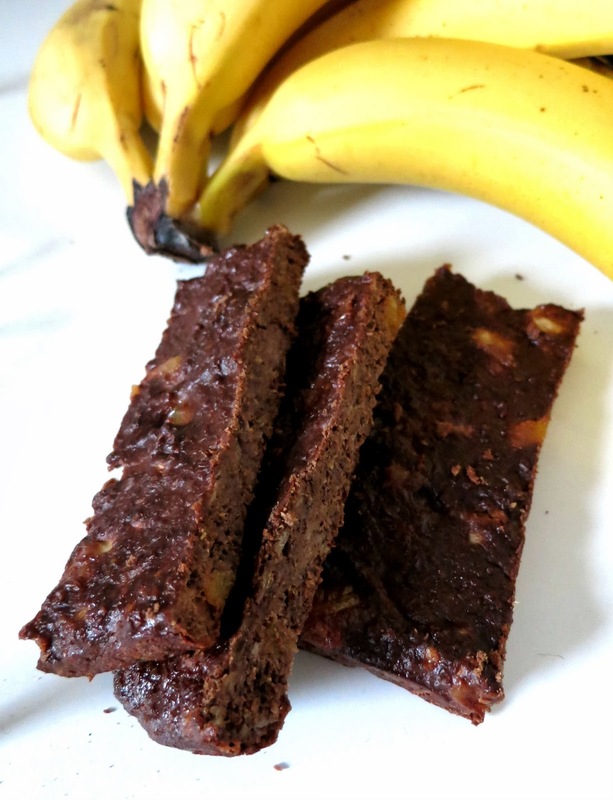 I just made these bars and they are delicious! I used vanilla protein powder instead because it was all I had and they were still really chocolaty. Thanks for the recipe! Is there a substitute for flaxseed? Assuming these need to be refrigerated since they contain fresh fruit?? Also wondering, how do they hold up on a warm day? Like, if you put one in your bag in the morning for an afternoon snack, do they get too mushy? Thanks! It is probably better that they are refrigerated, but they should hold up pretty well for a while since they are baked :) Thanks for commenting, sorry it took me a little while to respond!! Do you know the nutritional content of the bars? Thank you!!! :) Glad you enjoy! 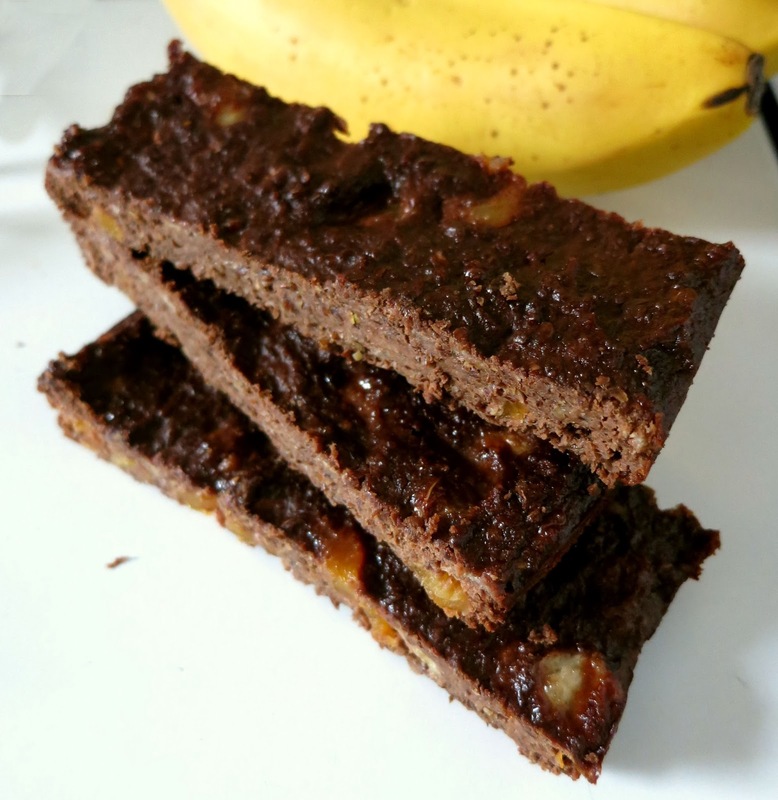 is there a substitute for the bananas? Hello!! Sorry it has taken me a while to reply, but you can absolutely try cooked sweet potatoes as an equal substitute if you wish :) thanks for trying, let me know how it turns out! What is keeping you up is likely something else - not caffeine, but Theobromine! It's often confused for caffeine, but works differently. Hi! how many does this serve/ make? I have ground flax is that okay? Any idea what the carbs are on these, as I have a type one diabetic in the house, and we need to figure out the insulin for these. Of course these protein energy bars are tasty. My sister likes gluten free confectionery and so I bring her these energy bars as gift sometimes.